I’m working on a kids tv show…well, I’ve been doing that for a while but it slowed a bit. Now it has picked up again. Working more on an art show. Back to more western music(cue the banjo). 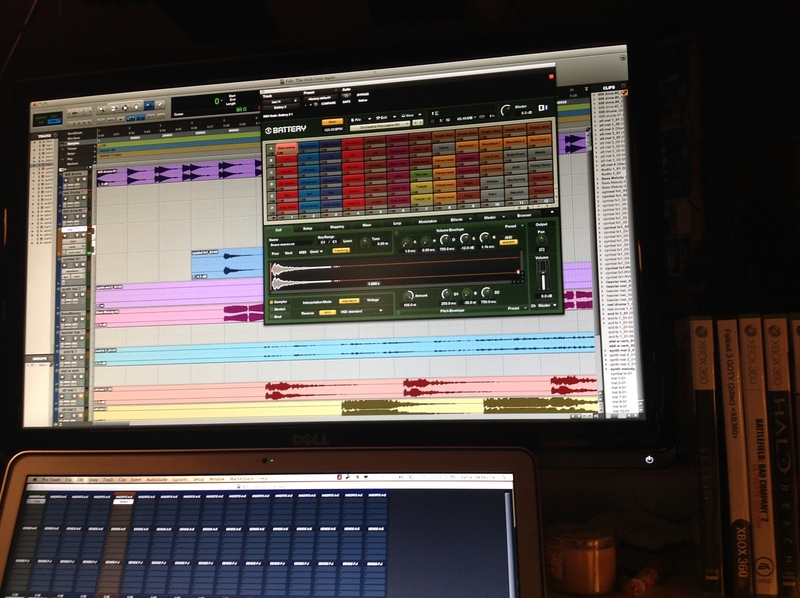 and so is Native Instruments (Battery 3), as well as Pro Tools…seen being used in the pic below.